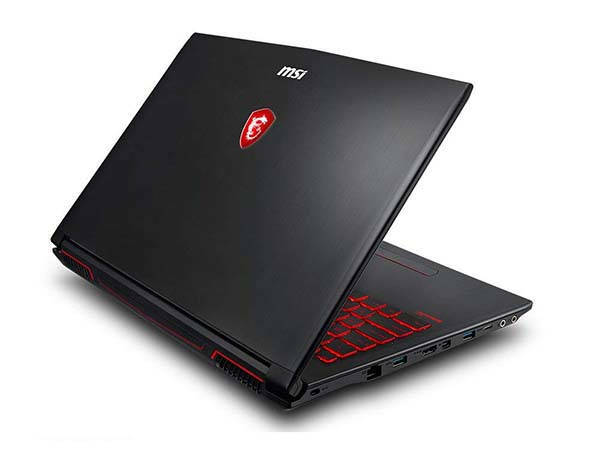 MSI has recently released GV62 8RD-200, its latest budget friendly gaming laptop. Want to play your favorite AAA titles on the move? Let’s keep checking. MSI GV62 8RD-200 is an affordable, high-performance gaming laptop that measures 15.07 x 10.23 x 1.16 inches and weighs 4.8 lbs. As shown in the images, the laptop sports a black matte finished exterior, and the brushed tactical cover maintains lightness while preserving gaming performance. The gaming laptop is powered by new Intel 8th Gen Core i5-8300H processor and NVIDIA GeForce GTX1050Ti graphics with 4GB GDDR5, and it also comes equipped with 8GB DDR4 RAM and 1TB 5400RPM HDD, so the laptop is powerful enough to handle various video games that need high requirements. Furthermore, new Intel Optane memory technology improves loading times on your favorite games and applications. The exclusive Cooler Boost technology provides excellent thermal solutions for both CPU and GPU, ensuring maximum performance under any gaming scenario. Moreover, the laptop features a 15.6″ Full HD NTSC display, and its keyboard shows off red backlit, optimum WASD zone, multi-key inputs and enhanced feedback. The all new Nahimic3 technology allows it to deliver enhanced 3D surround sound for an immersive gaming experience. In addition, the laptop is upgradeable by adding extra RAM, and it supports up to 32GB RAM for higher performance. 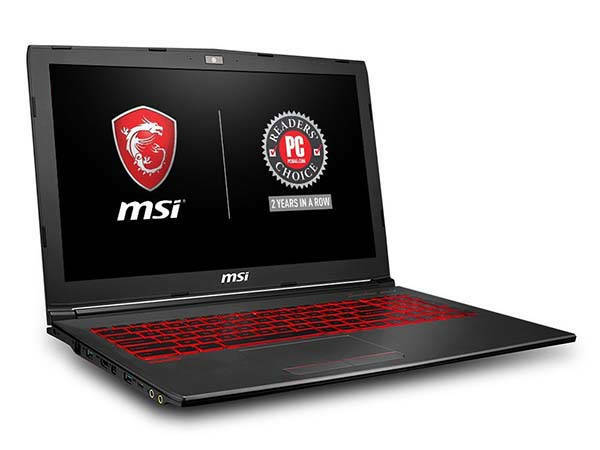 MSI GV62 8RD-200 gaming laptop is priced at $799 USD. If you’re interested, jump to the product page for its more details.